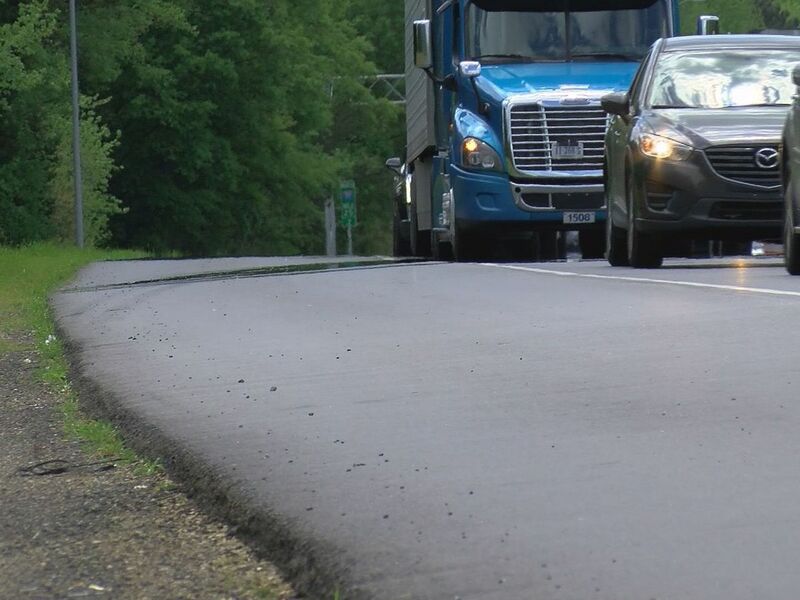 GASTON COUNTY, NC (WBTV) - A crash involving a jackknifed tractor-trailer shut down a portion of Interstate 85 northbound in Gaston County for several hours Wednesday morning. The wreck shut down all of the northbound lanes on I-85 near McAdenville at Exit 23 for some time. Two of the southbound lanes on the interstate were also closed for some time. According to the North Carolina Department of Transportation, the wreck happened around 3:30 a.m. 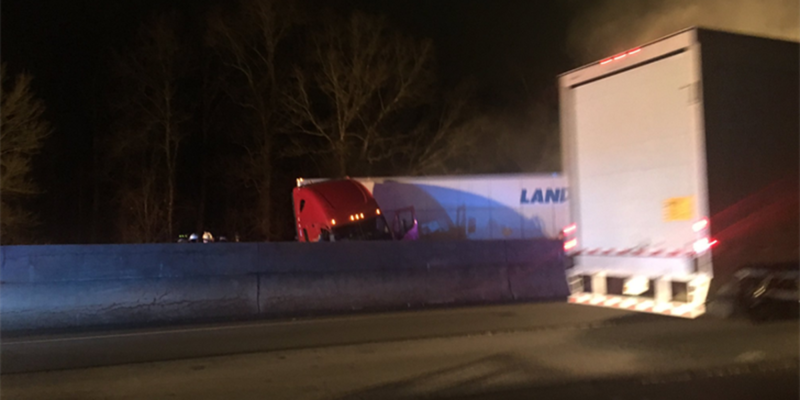 Troopers say the driver of tractor-trailer struck a guardrail, overcorrected, drove across three lanes and then hit a barrier wall. Pieces of the barrier wall then flew into southbound lanes causing three other drivers to wreck, troopers said. The jackknifed tractor-trailer was blocking the middle of I-85 for several hours. According to Gaston County EMS, the driver of the tractor-trailer was taken to the hospital. There's no word on the extent of the driver's injuries. All of the northbound lanes reopened around 7 a.m. The wreck caused heavy backups in the area for hours.